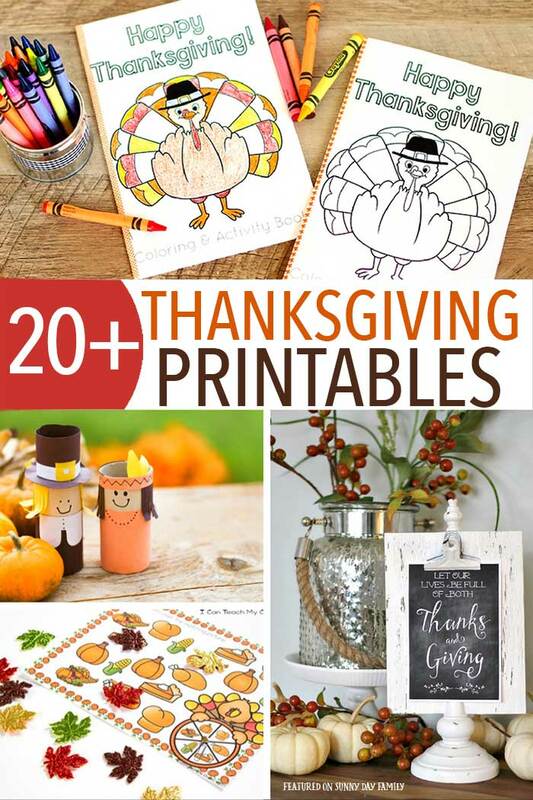 Over 20 Thanksgiving Printables including a Thanksgiving Planner, Decor, Activities, and more! Blink and you might miss it. Look closely in the sea of Christmas decorations that are always out by Halloween, and you might catch a glimpse of brown and orange, or the tip of a turkey's tail. The lost Thanksgiving decorations and dinner supplies. As much as I love getting ready for Christmas, I don't want to skip over Thanksgiving. And I can't, since I host a big family dinner with more than 20 guests every year! 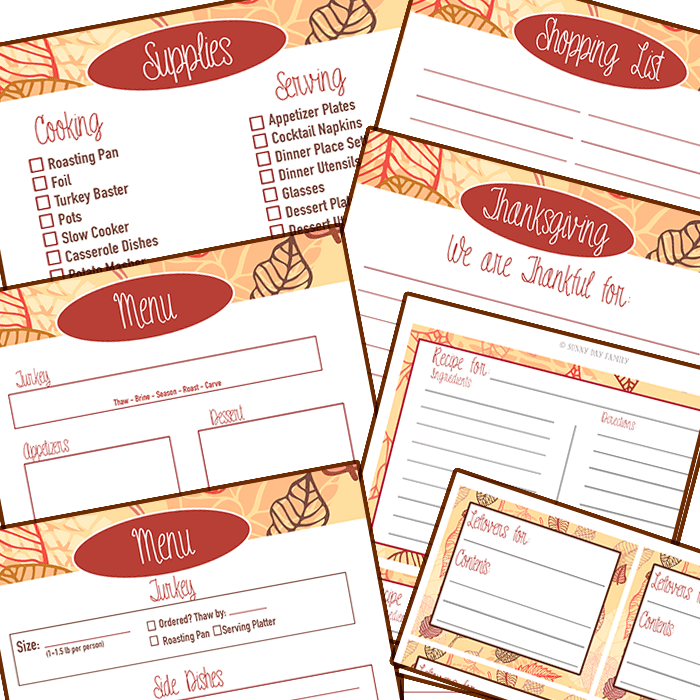 So instead of scouring the aisles looking for ways to entertain the kids and decorate the house on Thanksgiving, I've pulled together some awesome Thanksgiving printables to take care of everything I need. You can find kids' activities, dinner and decor ideas, and ways to show your gratitude - plus a Thanksgiving Planner that includes all the essentials to host the ultimate family Thanksgiving! 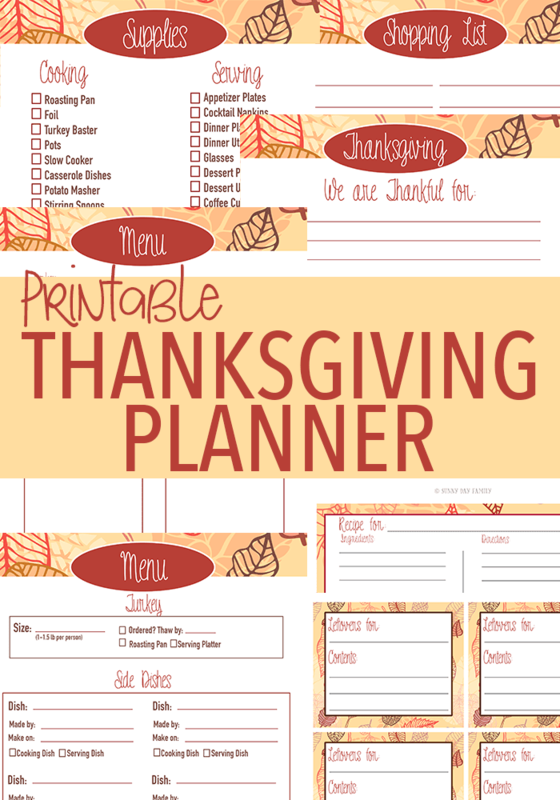 Check out the Thanksgiving Planner here. And be sure to keep reading for even more awesome Thanksgiving printables. Love the planner? Pin it here!